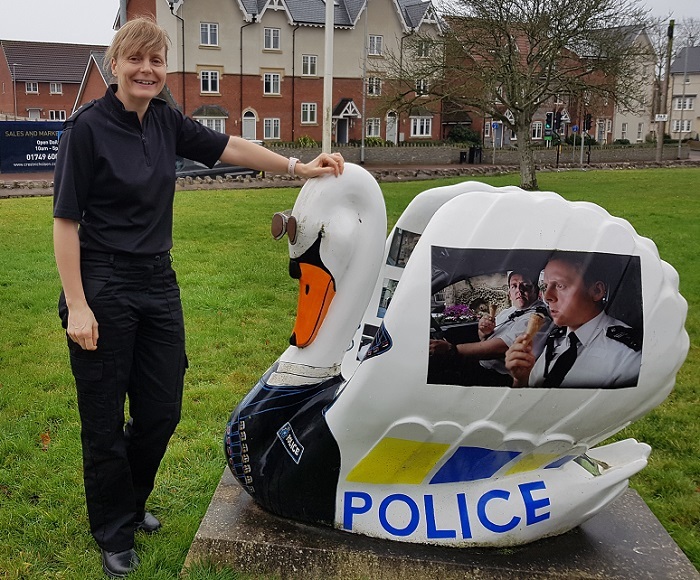 I STARTED my service in Avon and Somerset 15 years ago as a PC based in Wells. I was proud to return last year as the Chief Inspector for Neighbourhood Policing covering the Mendips. As a local resident myself bringing up a family in the area, providing a great service to the community is at the heart of all I do. I have seen first-hand how the policing landscape has changed, especially so in the last few years. Crime has become more complex; 15 years ago it was not uncommon for a car to be stolen for a ‘joy-ride’, now with advances in security these are few and far between. We have seen a significant rise in the hidden crime. People, often vulnerable, are being exploited behind closed doors: child sexual exploitation, domestic abuse, human trafficking and county lines drug dealing. It is this last one, county lines, that I would like to highlight this time. So what is it? And how can you help? County lines is a term used to describe gangs and organised criminal networks involved in exporting illegal drugs, usually heroin and crack cocaine, into our towns, from cities like London. They use mobile phones as a network to sell their drugs and will take over local people’s addresses to base themselves, selling from there and sending out people to deal for them. They are likely to exploit young people and vulnerable adults to move and store the drugs and money, and they will often use coercion, intimidation, violence and weapons. Wells and the surrounding area are overwhelmingly a safe place to live, yet we are touched by county lines. We need the public to be aware of the signs that people around them could be being exploited; here are some signs to look out for. • Persistently going missing from school or home and / or being found out-of-area. • Unexplained acquisition of money, clothes or mobile phones. • Excessive receipt of texts / phone calls and /or having multiple handsets. • Relationships with controlling / older individuals or groups. • Leaving home / care without explanation. • Suspicion of physical assault / unexplained injuries. • Significant decline in school results / performance. • Gang association or isolation from peers or social networks. We rely on help from the public, telling us what they have seen and heard; that information allows us to target action, and disrupt this type of crime. We are seeing increasing reports of suspicious behaviour and crimes on social media forums. We are not seeing the same information being relayed to us, we are missing opportunities to react to crimes and concerns. I am a huge supporter of the online forums, and have ensured we have a local presence on them, but I would urge local residents to report crimes and suspicious behaviour to us, every report is read by your local team. There are a number of ways you can report to us, online, calling 101, via Crimestoppers anonymously or by speaking to one of your local officers at the beat surgery or by ringing them direct. I feel fortunate to live in such a great city, and look forward to several more years working here with the community.